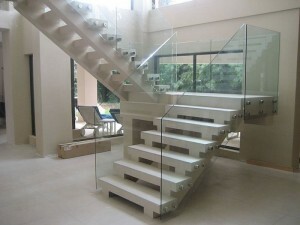 Glass rails are an excellent option in place of traditional spindles or bars. 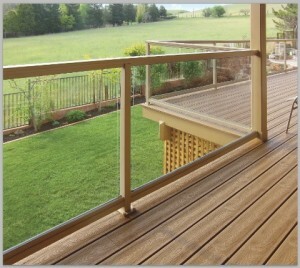 They offer a clear unobstructed view while still having the safety features of traditional railing. Custom designed to fit your plans glass railings create a modern and expansive look to help emphasize the beauty of your home. 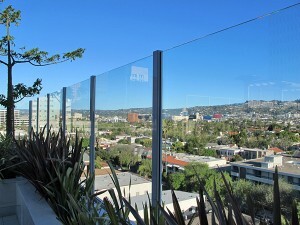 Glass rail systems are composed of tempered-glass panels inserted into frames. The glass can be clear, color, smoke or even etched with a design. Glass railing systems are versatile and are usually built-in conjunction with other aluminum, stainless steel, brass or bronze component for strength, support and embellishment. If you are thinking of giving your home a modern, airy look, consider having glass railings for your staircases or maybe a glass fence around your pool. These glass railings offer safety, as well as a great contemporary look to your home, be it the balcony, pool or staircase.